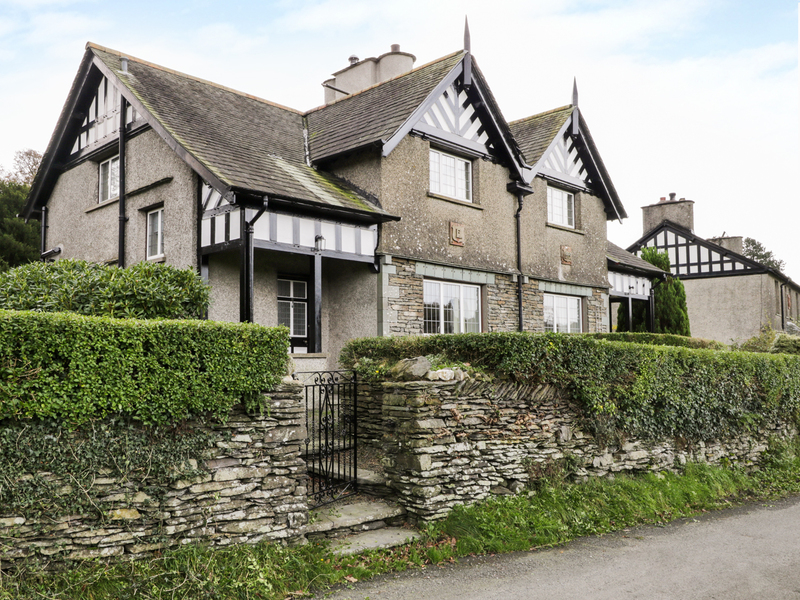 Glen Side is a delightful Edwardian stone-built, semi-detached cottage situated next a working livestock farm, on the edge of Far Sawrey and close to Hawkshead. 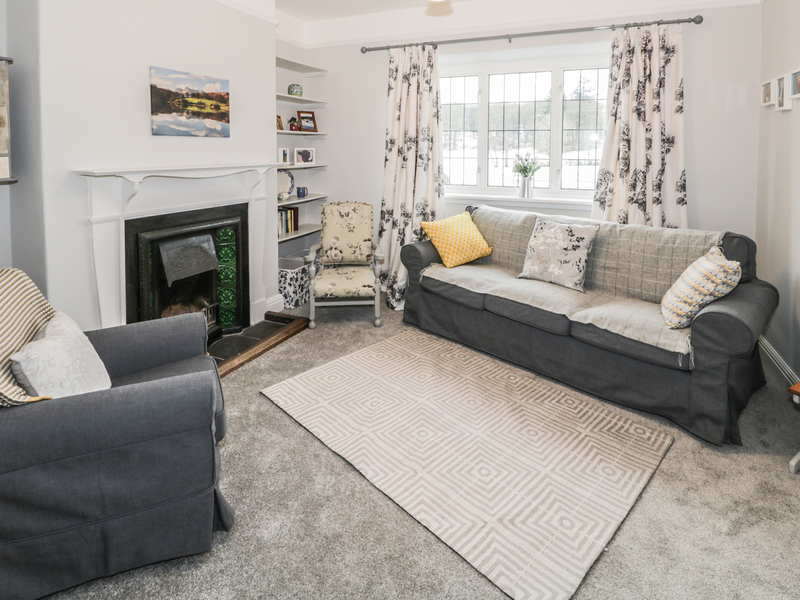 This cottage sleeps five people and has three bedrooms, consisting of a king-size double, a twin and a single, together with bathroom and a ground floor shower room. The cottage also has a open plan living area with a kitchen, dining area and sitting area with a woodburner and a second sitting room. Outside there's off road parking for two cars and a front raised lawned garden with veranda and furniture. Glen Side is an excellent Lake District base. Three bedrooms: 1 x king-size double, 1 x twin (zip/link, can be super king-size on request) 1 x single. Bathroom with bath, shower over, basin and WC. Ground floor shower room with shower, basin and WC. Open plan living area with kitchen, dining area and sitting area with woodburner. Utility. Second sitting room with open fire. Electric heaters with woodburner and open fire. Electric oven and induction hob, microwave, fridge, freezer, washing machine, tumble dryer, dishwasher, TV with Sky Q, WiFi. Fuel and power inc. in rent. Fuel for open fire and woodburner available to purchase locally. Bed linen and towels inc. in rent. Off road parking for 2 cars. Front raised lawned garden with veranda and furniture, plus side lawned garden and rear patio. One well-behaved pet welcome. Sorry, no smoking. Shop 3.5 miles, pub 5 mins walk. Note: There are a number of stone steps to the front door and a couple of steps to the rear door. Note: No stag/hen or similar. We also have details of 130 other similar properties nearby which might suit you.